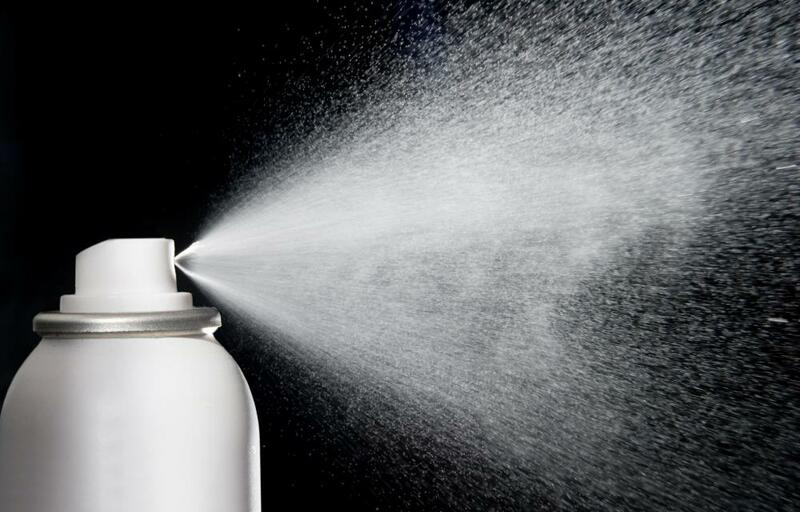 CFCs in aerosol sprays are now banned in the United States. 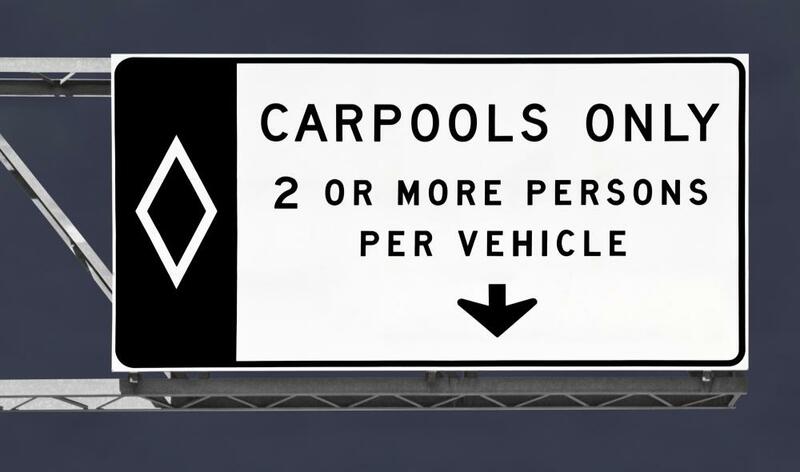 HOV lanes are used to encourage carpooling and reduce vehicle emissions. 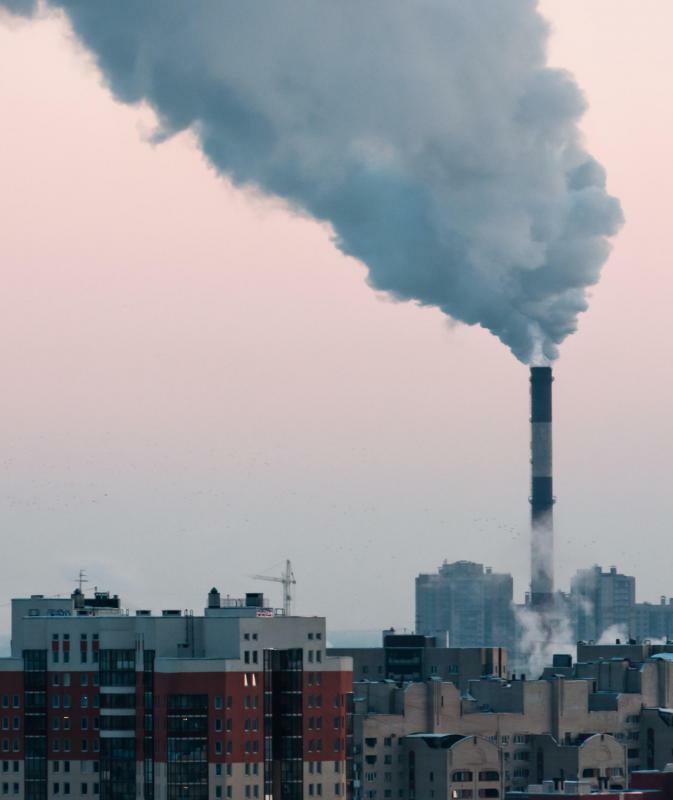 Environmental emissions are substances released into the air as waste, often in industrial settings. Environmental emissions are substances that are released into the air as waste. Many times, these emissions are the result of combustion, manufacturing, and natural waste, in addition to other processes. People in many different fields are taking an interest in these emissions because many are classified as greenhouse gases. Greenhouse gases are gases that contribute to the heating of the earth. It is thought that excessive build up of these substances in the atmosphere is causing the earth’s climate to change. Under normal circumstances, a greenhouse gas is a good thing. Many of these gases occur naturally as the result of respiration, combustion, as part of animal waste, and other processes. The earth's atmosphere is filled with these gases which allow the sun’s heat in but doesn’t allow some of it out--much like a greenhouse. This phenomenon keeps the earth from getting too cold. A build-up of these gases however may heat up the earth too much in a process called global warming. For this reason, reducing environmental emissions is an important topic on some nations’ agendas. Some other gases that are considered environmental emissions are methane and chlorofluorocarbons (CFCs). Methane is produced naturally in the waste of animals. It is also produced by manufacturing. CFCs are a man-made product that at one time could be found in several aerosol canned products such as hairspray and deodorant. Since these substances has been implicated in contributing to the depletion of the ozone layer, the Montreal Protocol, a treaty that mandates the phasing out of CFCs and other ozone depleting products, was signed in 1987 with several amendments added to it throughout the 1990s that call for a more rapid phase out of these products. There are several different methods one can use to reducing environmental emissions. If you live in a place where you need to commute, try using a carpool. Some countries even have incentives, such as special express lanes, in order to encourage carpooling. It is also wise to choose a vehicle that produces fewer emissions. Turning off a light, fan, or other appliance when you leave the room can also help to reduce electricity usage, aiding in the reduction of carbon emissions.